At Wilcox Primary School, we are very excited about our new nature-themed sensory path! 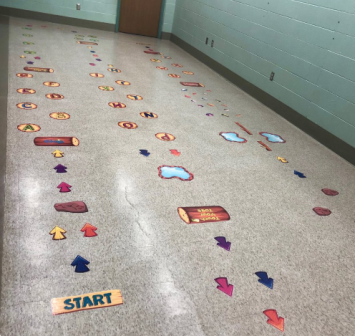 With the ever-growing needs of our students, and thanks to Principal Lynn Villa and the Wilcox Primary School PTA, a sensory path was designed to help children refocus during the learning process. 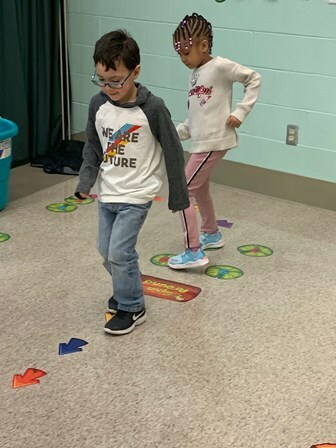 Meaning, the movements the sensory path provides will help a child refocus and attend which ultimately increases cognition and the retention of new information. 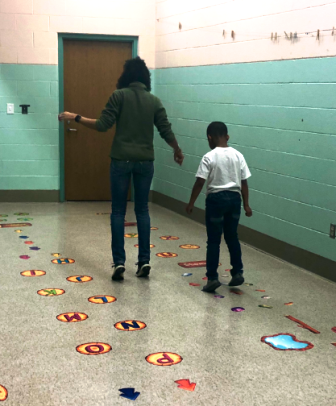 For all of our young Tigers, a sensory path can benefit their learning process as well as enhance their self-control and self-regulation. Check out some of our Tigers (and educator Mrs. Lakeisha Blanchard) trying it out in the photos below.